We Install Peace & Tranquility Into Your Life. At Paradise Ponds, we are experts at what we do, because installing ponds and waterfalls is all we do. We are not landscapers looking to fill extra time; our business is building your pond to perfection. We believe that your pond should be as natural as possible. Our ponds with streams of cascading water over rocks, create natural waterfalls that look as if Mother Nature herself created them. 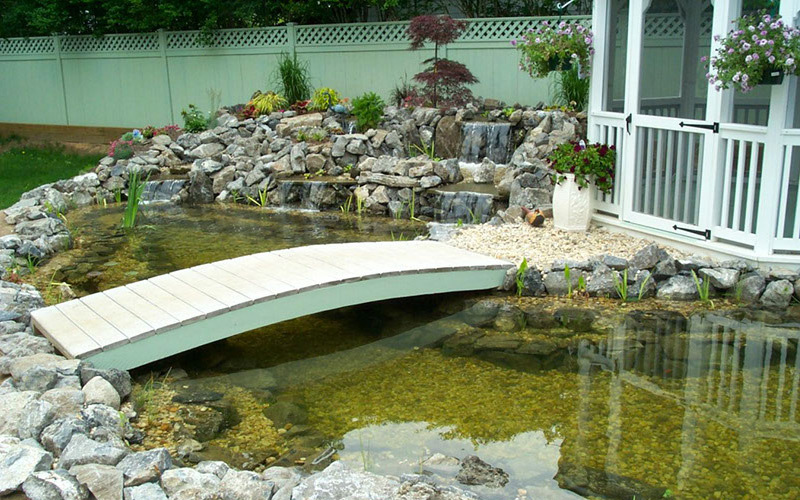 It's time to get your pond up and running for the new season ahead. Call us at 516-334-1122 to get on our work list. Space will be limited as we can only do so many clean-outs before the start of the new construction. As always your outside water must be turned on and the pond electric outlet turned on. Having a backyard pond is a great escape from the stress of the day. We are not landscapers looking to fill extra time; our business is building your pond to perfection. 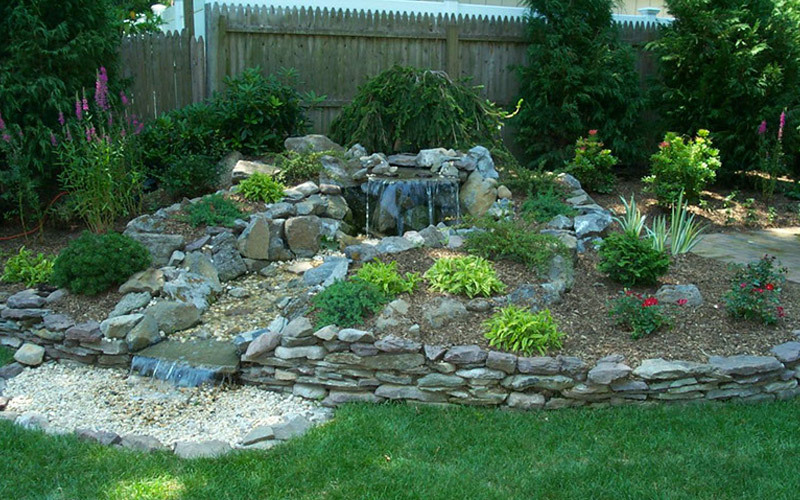 We believe that your pond should be as natural as possible. Paradise Ponds is fully BBB accredited. 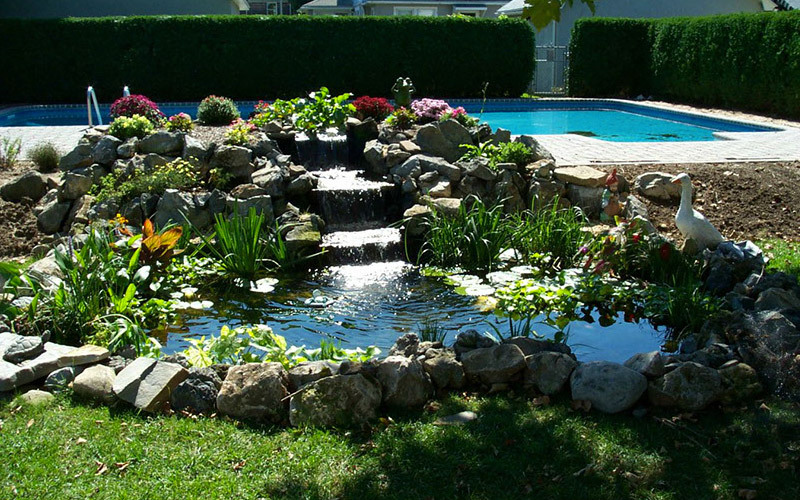 With an A+ rating since 2007, there is a reason that Paradise Ponds is Long Island's go-to ponds and waterfall installers - because it's all we do! 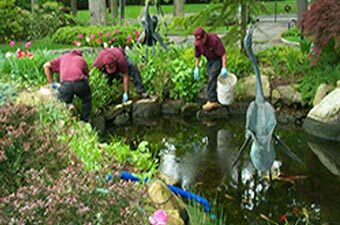 Certified Aquascape Contractors (CACs) are the most qualified and informed pond installers in the water gardening industry. All CACs are trained and educated to not only install beautiful low-maintenance water features, but also to provide quality workmanship, outstanding customer service, and knowledgeable assistance to their customers and each other. At Paradise Ponds we are dedicated to building ponds...one at a time. Each pond is built by myself and my crew. We are not landscapers looking to fill extra time; our business is building your pond to perfection. Paradise Ponds maintains 3 trucks year-round, including 2 routine service trucks and 1 truck specifically to troubleshoot any issues our clients may run into. I just wanted to thank you for all your help with the building of my pond. Everything came out just as I had expected it to be. Please accept this gift certificate as a token of my appreciation. Look forward to seeing you at Donovan's. I just wanted to thank you again for being such a great addition to our foundation. The waterfall, stream and ponds were beautiful and I hope the experience from the show generates a lot of new business for you. Have a great season. I have been a customer of Paradise Ponds by Ed Dedicke, Inc. since 2002. Ed and his team have created a beautiful pond in my backyard. I was undergoing surgery in May, 2002 and the pond was a way for me to relax and recuperate. Ed has always been very professinal and is an expert in this field. He and his team are respectful of my property when they are here to service my pond. He returns my calls promptly and it's always a pleasure to deal with him and look forward to expanding and impropving my pond. Just wanted to thank you and tell you what a good job your guys did with our repair. They were prompt, professional and polite. Thanks again! I have empleyed Paradise Ponds by Ed Dedicke for several years. I am very pleased with the services that I have received. Ed and his men are neat, courteous, respectful and very professional. I am impressed by Ed's sincere interest in my pond and fish. Ed will always return a call on the same day. He is a man of integrity. I have had my pond serviced by other people in the past. Paradise Ponds is by far the most reliable and dependable. My pond is clean and beautiful and my fish are healthy and thriving. Thank you Paradise Ponds!!! This is to verify that the people at Paradise Ponds have always been extremely helpful and professional in taking care of our fish pond. They walys return calls promptly and respond to our needs timely. Furthermore they are innovative in their suggestions to maximize the well being and beauty of both fish and pond. In sum, I could not be happier with their services. For the past 3 years, Paradise Ponds by Ed Dedicke has servied all my pond clean outs and maintenance needs. In the year 2005, construction of my pond was completed in less than a week with 5 tons of rock, waterfalls and whatever was needed for a complete pond. The crew were and is walys respectful, professional, clean and neatly organized while working on the job. All questions that I have are answered timely and to my satisfaction. My fish are very happy and thriving thanks to Ed and the crew. 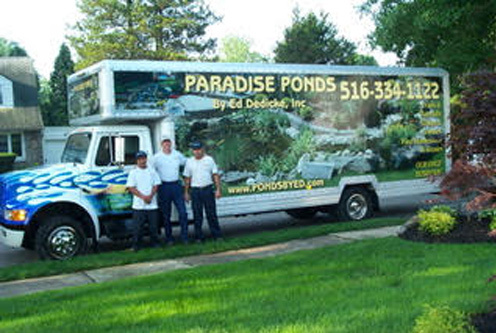 I would not hesitate to recommend Paradise Ponds by Ed Dedicke, Inc.
Paradise Ponds by Ed Dedicke, Inc has been my pond contractor for many years. He and his company have always been professional and respectful. Ed arrives promptly, even on a holiday or Sunday. He fixes any problems quickly. His attention to the upkeep and repair of my pond is wonderful. I am extremely lucky to have Paradise Ponds by Ed Dedicke as my Certified Aquascape Contractor. Therefore, I would ceterainly recommend Paradise Ponds to anyone with reservation. I thank you for another perfect Spring Cleaning of my pond. As usual you and your men arrive on the job, do whatever needs to be done and leave everything in order. most helpful is the cost, as it is quite easy to figure out from one year to another. I'm very pleased we increased the size of the pond to obtain full benefit. Thank you again.